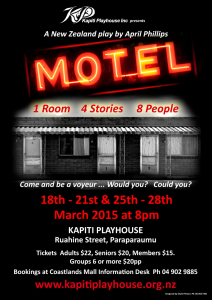 Book your Motel now! 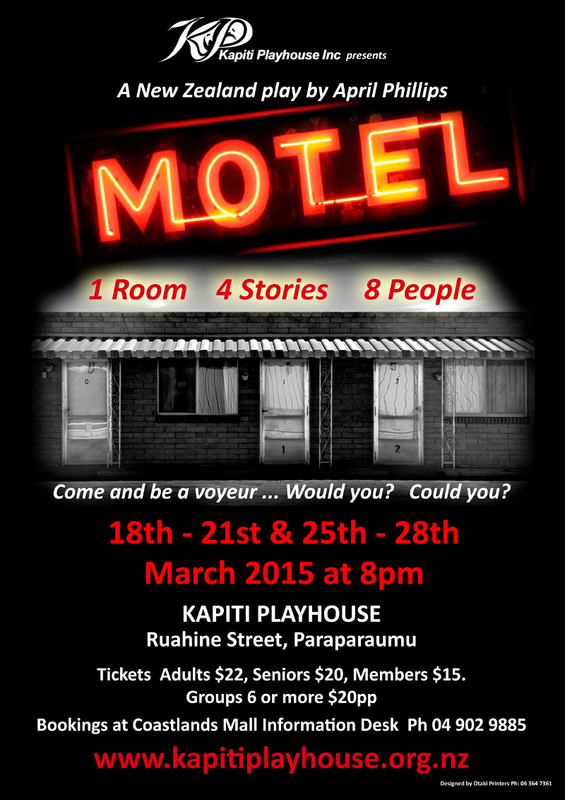 - Kapiti Playhouse Inc.
Tickets are now on-sale for Kapiti Playhouse’s first 2015 production, Motel. Rehearsals are going well for the show that opens on Wednesday 18th March. The tickets are available either at Coastlands or online. See the Motel page for more details including pricing.